Tibetan prayer texture kept in the monastery as sunrays fall in these dark, dusty rooms. Description: Internet is still at an embryonic stage. Yet, cities get connected little by little. 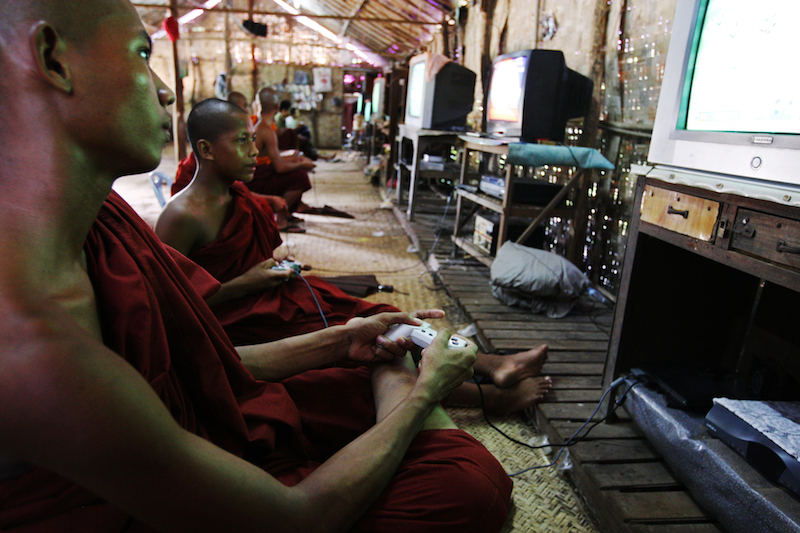 Nowhere to be seen but a few years ago, cybercafes and videogame centers can now be found at every corner in Yangon and Mandalay. The cost of connection may be quite high (30 cents per hour) and the web content tightly controlled by the junta, Burma boasts more and more regular users, around 40,000 according to the latest statistics. A little window to the outside has opened. That being said, cell phone remain an unaffordable luxury. It can cost several thousand dollars to open and use a line, and communication is patchy at best.